Skin and facial care is a very important aspect of most women’s and even a few men’s lives. The face is the first thing people see, after all. Hence, taking care of it can be critical for one’s social and professional life. One of the best ways that you can take care of your skin is through exfoliation, but how often should you exfoliate your face? What should you do before exfoliating? When should you exfoliate? These are but a few of the questions we are going to tackle in this article. First, allow us to tell you what exfoliation really is. The skin constantly sheds dead skin cells. When this happens, newer skin forms underneath to replace them. However, these dead skin cells do not always shed away automatically; some stay behind, which causes dryness and dull skin. Exfoliation is the act of washing your face or any part of your body to remove not just dirt but also dead skin. This is a much more focused kind of face washing in that an exfoliation product is often used. This product will usually have granular elements to scrub away dirt from the skin. 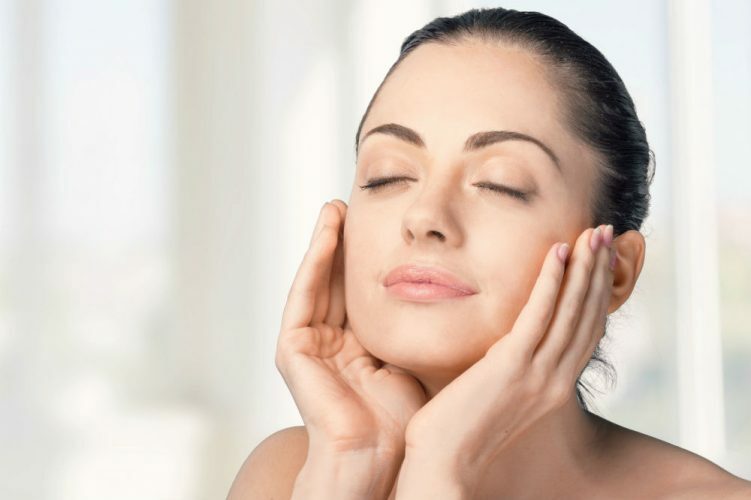 More often than not, exfoliation is done in most beauty skin procedures such as facials. There also several dermatology and beauty clinics that have exfoliation machines. These clinics often offer sessions designed specifically to exfoliate the face and other parts of the body. Sadly, these appointments can be expensive and time-consuming. For that reason, more and more people now use exfoliating scrubs and creams at home. These products are not only about cleaning out the pores, but many of them are also formulated to rejuvenate the skin. In fact, there are even some that offer anti-aging benefits. What to Do Before You Try Exfoliation? Before you try and exfoliation product yourself, you first have to make sure that you consult your personal doctor. Doing this achieves two things. First, it allows your doctor to tell you if you are allergic to any of the ingredients in the product you will be using. Second, he can inform you what to do if indeed you have a negative reaction to the product. If you have a dermatologist, it is also strongly advised that you talk to him or her first so that he can give you a professional opinion on the product’s effectiveness. What’s more is that he can also recommend or discourage the use of a certain product because he is more familiar with your skin and your skin type. Your personal history is also a good indicator of whether or not you should try personal exfoliation products. If you are used to applying products on your skin and face, and you have not had any adverse reactions, then the chances are that your face will be able to take on exfoliation. However, if you have a history of reacting to beauty products, or even having a reaction to certain soaps and shampoos, then it is very likely that exfoliation will not agree with your skin either. This method of cleaning the face might be too harsh for your sensitive skin. In most cases, professional dermatologists will recommend that you exfoliate only once or twice a week. Why is that? You see, the skin can only take so much scrubbing. Even if you exfoliate using mild exfoliating products, if you do it too often, then it might cause irritation, redness, and even skin damage. There are many different skin types, but mainly, there are four: normal, dry, oily, and a combination of dry and oily. If your skin is particularly oily, then it is recommended that you exfoliate more often than if you have dry skin or combination skin. Some people who have an active lifestyle shed skin at a faster rate. Aside from that, this also usually means that their skin is exposed to a lot more sunlight, dirt, and grime. Exfoliating more often could help keep the face and skin clean. In most cases, people just do not have the time to exfoliate in the ideal time and frequency that they would have like. During these instances, it is acceptable to exfoliate only when they have enough spare time to do so. Some dermatologists would recommend exfoliating during your time in the shower. Ironically, the people who need exfoliating the most are people with sensitive skin. However, it is not ideal for people with sensitive skin to use exfoliation products. This is because, more often than not, they can result in skin irritation and even cause the skin to break out. Most dermatologists will tell you that the best time to exfoliate the face is in the morning. Why is that? When you wake up from a long sleep, your body is dehydrated, which includes your skin. This is the reason why your face will often feel and look dull and dry when you have just woken up. For that reason, the experts believe that exfoliating in the morning can do wonders not just about how your face looks but also how it feels to the touch. Then again, there are also some people who prefer to exfoliate at the end of the day. They do this to scrub the dirt and grime that has accumulated during the daytime. Simply washing your face with soap and water can do wonders for your skin, but some skin types need extra maintenance to preserve that youthful look and fresh feel. Exfoliating is not just about aesthetics either; it is also about skin health and making sure that your skin not just looks its best, but also feels the best. The frequency with which you exfoliate your face depends on several factors, such as skin type and skin sensitivity, but most dermatologists will tell you that it is best to exfoliate a few times per week. For people who have sensitive skin, exfoliating once a week can be enough.